Recent tidal waves of scandals and public upheavals have shed light on the potential perils and risks of digital monopolies such as the five Silicon Valley giants: Facebook, Google, Amazon, Apple, and Microsoft. 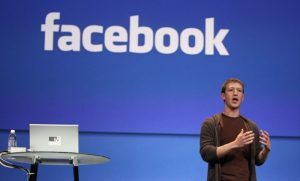 Examples such as the foreign meddling in the US election via large-scale advertising campaigns on Facebook (1), or the alleged abuse of market power by Google resulting in one of the largest antitrust fines ever levied by the European Union (€2.42 billion, ), are frequently echoed in mainstream media. In 2017 alone, the five Silicon Valley giants have added nearly a trillion dollars to their aggregate value, which is now more than double the value of the largest seven banks in the world. 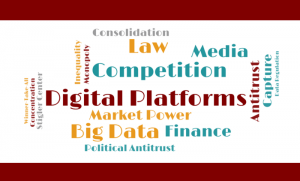 In conjunction with the increased popularity of those platforms—the number of users ranges from 310 million for Amazon to 2.2 billion for Facebook and Google—the public discourse focuses not only on the merits of these digital platforms but also on the potential threats they pose to markets, financial institutions, and democratic processes (3). Some point to the mere size, power, and unregulated conduct of these digital monopolies. Others focus on the unprecedented scale and speed with which personal data is collected and used in the context of prediction algorithms, an omniscient, opaque machinery that threatens to erode the very foundation of privacy (4). Still others highlight the ability of digital monopolies to control much of our attention, which allows them to dictate which content we are exposed to and to influence our behavior. In this “economy of attention,” users’ eyeballs have become the main commodity traded (5, 6). The price for ads on YouTube or Facebook, for example, ranges from a few cents to several dollars depending on the specificity of the target audience. 1. Risk of data breaches. A security breach of any of the digital monopolies could result in Exabytes of users’ most vulnerable information being publicly exposed (7). Besides the risk of irreparable damage to people’s reputation, private lives, and identity (as in, e.g., the “Ashley Madison” case (8)), such a breach could result in unprecedented damage to our economy (as in, e.g., the “Sony Pictures” case (9)) and our political standing (as in, e.g., “Wikileaks Cablegate” (10)). Importantly, a security collapse of that nature might only be the start of a series of follow-up breaches. A hack of Google’s Gmail, for example, could allow the perpetrators to obtain a user’s bank account password through the “forgot password” functionality, and ultimately lead to a collapse of businesses and industries (e.g. banking, taxation, weapon silos, etc.). Compared to what was deemed a “too big to fail” state when a handful of banks collapsed in 2008, such a crisis could be unparalleled. Although the digital monopolies employ talented security teams to prevent such hacks, the public has no guarantee that a skillfully deployed attack (e.g., by another nation-state, powerful underground organization, or simply a disgruntled employee) would not be successful. Even with the best efforts of the digital monopolies—which often heavily depend on the priorities of high-ranking leaders in the organization—societies should hence operate under the assumption that the data held by the digital monopolies could be leaked at any point in time. 2. Data control. The concentration of unprecedented amounts of behavioral user data may become the most precise and effective tool for targeted marketing. Our digital footprint reveals a lot more about us than first meets the eye: it conveys information about our preferences, our habits, and our psychological traits (4, 11). Recent research, for example, shows that targeting user segments with advertising messages tailored to their psychological profiles (e.g., their extroversion level) significantly increases clicks and purchases (12). While the ability to target individuals of a certain behavioral, sociodemographic, and psychological profile might not pose an immediate threat in the context of advertising consumer goods, there are many other contexts in which overly precise targeting could hurt the most vulnerable members of society. Being able to target “homosexual individuals living in a specific zip code,” for example, could turn out to be lethal in a number of countries around the world. The same is true for targeting people with an addictive personality with gambling ads, or an unsuspecting low-income family with a subprime mortgage offering. 3. Attention as currency. The majority of online social networks—be it Facebook, Snapchat, or YouTube—are designed and built to encourage individuals to spend as much time and resources within the platform as possible. While this is no different than other media channels, like TV, online social networks have far advanced their capabilities to manipulate and prey on users’ weaknesses, turning “user-oriented” services into addictive, time-wasting traps (13, 14). Recent work in neuroscience and marketing have shown that exposure to content at a rate of as little as three views is sufficient to generate a conscious awareness of a brand (15), whereas ten views can yield unconscious drive or preference for a product (16). Studies in psychology (17) and neuroscience (18) show that one change people’s behavior, both short-term and long-term, by influencing their preferences or altering their neural pathways. Beyond behavior changes due to content, works in neuroscience are suggesting that the effects of digital content on our brain is not limited to the time of exposure but also have addictive attributes that resemble chemical addiction to substances (19, 20). Finally, studies in psychology are showing that the adverse effects of the time spent on digital platforms are translated to increases in depression and other negative psychological outcomes (21). 4. Lack of transparency. Currently, the usage of personal user information by corporations suffers from a great deal of obscurity. Users are often unaware of the data being collected, shared, or used by the digital monopolies, preventing them from speaking up publicly and demanding transparency. Moreover, even if users have knowledge of the data usage, they have little power to control it. Essentially, we are limited to a binary choice to either agree to the terms of the digital platforms or not use the services at all. 5. Political influence. Unregulated media giants can involuntarily influence the outcomes of democratic processes, with users being overexposed to certain news due to hyper-personalization in so-called “echo-chambers” (22), foreign countries swaying public opinion via large-scale advertising purchases (1), voter-profiling companies using psychographic profiling techniques to manipulate voter opinion through disinformation and fake news (23), or duopolies such as Google and Facebook effectively controlling the world of online advertising, which can turn them into key political players and severely restrict diversity of thought (24). 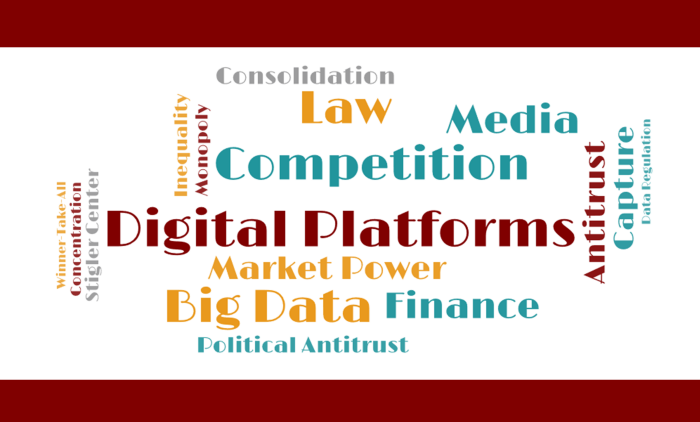 Taken together, the aforementioned challenges make the digital monopolies too big to fail. The breakdown of any of the digital monopolies is likely to have severe consequences that would harm humanity in unprecedented ways. At the same time, they might also be too big to manage. Facebook, for example, only understood in hindsight how their advertising platform had been abused by third parties to breach their data laws and sway the voting intentions of millions of users (23). Together with other threats posed by the digital monopolies—including the decline of trusted media outlets, a growing lack of competition, and a potential waste of talent—the risk of losing control over such companies that are too big to fail requires a rethinking and redesign of the digital economy. The digital revolution is not the first time governments and societies had to respond to dramatic dislocations of the economy. In fact, prior technological shifts such as the Industrial Revolution required substantial changes in regulatory frameworks as well. Yet, history tells us that the responses to structural changes in the economy tend to arrive late due to the resistance of the actors that benefit from the status quo. It took over six decades to regulate the tobacco industry, for example, and the number of casualties of this slow response is unparalleled. Similarly, the breakup of Bell Systems—which ultimately yielded a prosperous tech industry that benefited from the ramifications of regulatory processes—was met with strong initial resistance. The emergence and rapid growth of digital monopolies suggests the response to the threats posed by these platforms needs to be notably faster. While it seems clear that the direction in which the digital economy is heading needs to change in order to create inclusive growth and shared prosperity, it is less clear how. The enormous power concentrated within current digital monopolies, the complexity of the digital world, the rapid development of new technologies, and a growing political instability make the endeavor to shift directions a difficult task. Moreover, it is not clear who should lead this change. Below we offer a set of players that we believe should carry the torch in providing solutions (in order of importance). Each of these players has their own incentives for contributing to a resolution, and as such the involvement of each of these players comes with both advantages and disadvantages (see Table 1). Governments have the most power in regulating and standing up to digital monopolies. Within their arsenal lie the abilities to regulate, fine, breakup, and change the course of monopolies in ways that benefit the public and increase overall prosperity (for a discussion in the context of the tobacco industry and Bell Systems, see 25, 26, 27). Governments can do so by employing the broad array of tools used to combat monopolies in other domains. Governments have the most power in regulating and standing up to digital monopolies. Within their arsenal lie the abilities to regulate, fine, breakup, and change the course of monopolies in ways that benefit the public and increase overall prosperity. First and foremost, the government can employ antitrust laws using approaches employed to combat telecom monopolies, Internet and media monopolies, and even consumer-packaged goods cartels in the last few decades. The same ruling that was used in the Bell Labs case (see Box 1), for example, could be used to breakup Google into separate corporations that are not allowed to share user base, data, or resources (e.g., “Gmail,” “Maps,” “DoubleClick,” and “YouTube”). Second, the government could actively encourage competition. It can do so by forcing digital platforms to give data ownership and control to users, making it easy for them to switch to a competing platform if the current service is unsatisfactory. Third, the government could force public hearings with the heads of the monopolies. This will give the public a chance to transparently review and discuss the strategies employed by those digital monopolies. Fourth, the government could mandate the equivalent of a quarterly “financial disclosure” of “data usage.” Companies, in this case, would be obliged to inform every user about their “effective market value to the platform”—that is, the amount the user is worth to the company. This will create higher data transparency for both users and the media, and provide a basis for users to decide whether they would like to continue using the service as is or whether they would like to change their agreement. For example, if a user learns that her value to, say, Facebook is $100 per quarter, she could choose to pay $100 and ask not to have her information shared with anyone. Fifth, the government could generate the equivalent of a third-party auditing system for the digital monopolies. Similar to the way in which the government requires banks to have “penetration tests” conducted by hackers who report the results to a third party, the government could introduce auditing protocols for digital monopolies. Such a mandate is likely to both improve the platforms’ security, and alleviate doubts about the handling of personal data. For example, questions such as whether one’s data is actually deleted when requested, or merely “marked as deleted” in the database will be answered. The media play a central role in setting the stage, signaling, and incentivizing the other players discussed herein. The media are responsible for raising awareness about digital monopolies, for exposing the risks they pose to the very fabric of our institutions and democracy, and for covering and explaining the underlying motivations of the different players in a way that makes them accessible to the public. In fact, the media have the power to create social norms that can support and encourage other players (civil servants, regulators, corporates, hackers, etc.) to operate effectively. In addition, media function as a reliable and trustworthy source of investigative information and provide a refuge for whistleblowers who are an essential part of the current checks and balances system. Academics are often considered the torchbearers of knowledge generation and change. As such, they can systematically develop solutions to alleviate and overcome the problems generated by digital monopolies. Academics can provide objective research on the consequences of the digital economy and the economy of attention. Given that the digital economy is both affected by and is in turn affecting many aspects of our lives, the academic response will require a cross-disciplinary approach that includes expertise from areas such as the computer sciences, economics, political science, psychology, sociology, communications, and others. Importantly, this research will need to be communicated in a way that makes it easily accessible to the other stakeholders discussed in this section (e.g., the general public or policymakers). In order to contribute to an informed public discourse and evidence-based policy, academics are therefore tasked not only with generating knowledge but also with communicating the implications of their findings effectively. Engaging in public civil response (e.g., demonstrations, voting) to resist monopolization. As a rule of thumb users should realize that, “If you’re not paying for it, you are the product being sold to someone else.” This will help guide their behavior and potentially navigate the choice of solutions given the complacent attitudes currently prevalent among users (28). Given that digital monopolies derive their power from collecting, storing, and processing large amounts of user data, the skills possessed by hackers and anarchists of controlling and accessing data could support regulators in auditing digital monopolies more efficiently. In fact, the domain-specific skills possessed by hackers often surpass those nurtured within the digital monopolies themselves. As such, hackers can identify flaws in the digital monopolies’ security and data utilizations, alert the public about dishonest behaviors, and expose misconducts. Additionally, they can create monitoring tools that will allow the public to gain a better understanding of and control over how their data is being used by the digital monopolies. For example, hackers could develop tools that help parents regain control over the use of digital services by their children, a task that is increasingly difficult to do. In their constant fight for user attention, the digital monopolies currently have no incentive to provide such a tool. Many hackers, on the other hand, follow an ideology that forces businesses to behave responsibly, and thus appear to be ideally suited to develop such aids. While potentially less obvious than the government and the media, big corporations from adjacent industries could turn out to be equally powerful in challenging digital monopolies as they can support the government and other parties in standing up to the digital monopolies. They could do so by financially backing regulatory processes and campaigns, and by also demonstrating the need for transparency through sharing data themselves, making it a real alternative for consumers. It is in other corporations’ own best interest to help mitigate the power of digital monopolies. This is because the monopolization of data on the behavior of billions of consumers gives the digital monopolies an unprecedented advantage in various industries—even ones that currently do not actively compete with the monopolies. For example, while nobody currently perceives Google as a potential competitor in the real estate brokerage market, if Google decided to enter this market in the future the sheer amount of data it holds on individuals from all over the world would make it a leading competitor instantly. Hence, corporate giants across disciplines may want to use traditional market tools to combat the growing power of digital monopolies. This movement is already underway and may prove successful and efficient (29, 30). It is in other corporations’ own best interest to help mitigate the power of digital monopolies. This is because the monopolization of data on the behavior of billions of consumers gives the digital monopolies an unprecedented advantage in various industries. While the incentive for the digital monopolies to sustain their current business model seems reasonable, scholars argue that it is in fact in their own self-interest to become more transparent and to provide open access to their data, while keeping the analytics algorithms as their intellectual property alone. As the digital monopolies originally worked under ethos of audacious social missions such as “do no evil,” “connect the world,” or “organize the world’s information,” returning to this ethos and operating under the premise of transparency and user control is likely to increase—rather than decrease—the public usage of and trust in their services. Importantly, by maintaining the algorithms to analyze the data while giving users the control over the data may still retain a strong business model that creates a positive feedback loop between consumer interest/trust and profitability (e.g., 31). The technological advances introduced by the digital monopolies allow billions of people around the world to connect with one another and have therefore been crucial in driving access to information (32, 33), increasing economic productivity and contributing to political stability (34). As such they have the potential both to promote and to undermine societal well-being. In order to reap the benefits of the technological advances provided by the digital monopolies while reducing their adverse effects on individuals and society, it is necessary to develop and employ solutions that mitigate the dangers of unregulated digital monopolies. It has not escaped our notice that whereas it took many decades to respond to the threats posed by industries like the tobacco industry, the speed with which technology develops now calls for a much faster and coordinated response by all the aforementioned players. It is difficult to anticipate which solution is going to be most effective. In fact, the best solution for smoking turned out not to be taxes, regulations, or any of the big solutions, but rather the simple campaign against “secondhand smoke” (that your smoking is hurting me). Similar secondhand effects could be claimed for the attention economy. One person’s time focused on watching marketing content is not well spent in an active society. We might not always notice, but we all suffer from it. A call to action by any of the parties could hence be a key driver of the change. 1. Shane S (2017) These Are the Ads Russia Bought on Facebook in 2016. New York Times. Available at: https://www.nytimes.com/2017/11/01/us/politics/russia-2016-election-facebook.html. 2. European Commission (2017) Antitrust: Commission fines Google €2.42 billion for abusing dominance as search engine by giving illegal advantage to own comparison shopping service. Available at: http://europa.eu/rapid/press-release_IP-17-1784_en.htm. 3. Taplin J (2017) Move fast and break things: How Facebook, Google, and Amazon cornered culture and undermined democracy (Hachette UK). 4. Kosinski M, Stillwell D, Graepel T (2013) Private traits and attributes are predictable from digital records of human behavior. Proc Natl Acad Sci 110(15):5802–5. 5. Weng L, Flammini A, Vespignani A, Menczer F (2012) Competition among memes in a world with limited attention. Sci Rep 2:335. 6. Simon HA (1971) Designing organizations for an information-rich world. 7. Carson C (2014) How Much Data Does Google Store? Available at: https://www.cirrusinsight.com/blog/much-data-google-store. 8. Gibbons-Neff T (2015) Thousands of .mil addresses potentially leaked in Ashley Madison hack. Washington Post. Available at: https://www.washingtonpost.com/news/checkpoint/wp/2015/08/19/thousands-of-mil-addresses-potentially-leaked-in-ashley-madison-hack/?utm_term=.8fcbf1a46b06. 9. Peterson A (2014) The Sony Pictures hack, explained. Washington Post. Available at: https://www.washingtonpost.com/news/the-switch/wp/2014/12/18/the-sony-pictures-hack-explained/?utm_term=.5ab026f0ff51. 10. Shane S, Lehren A (2010) Leaked Cables Offer Raw Look at U.S. Diplomacy. New York Times. Available at: http://www.nytimes.com/2010/11/29/world/29cables.html?pagewanted=all. 11. Park G, et al. 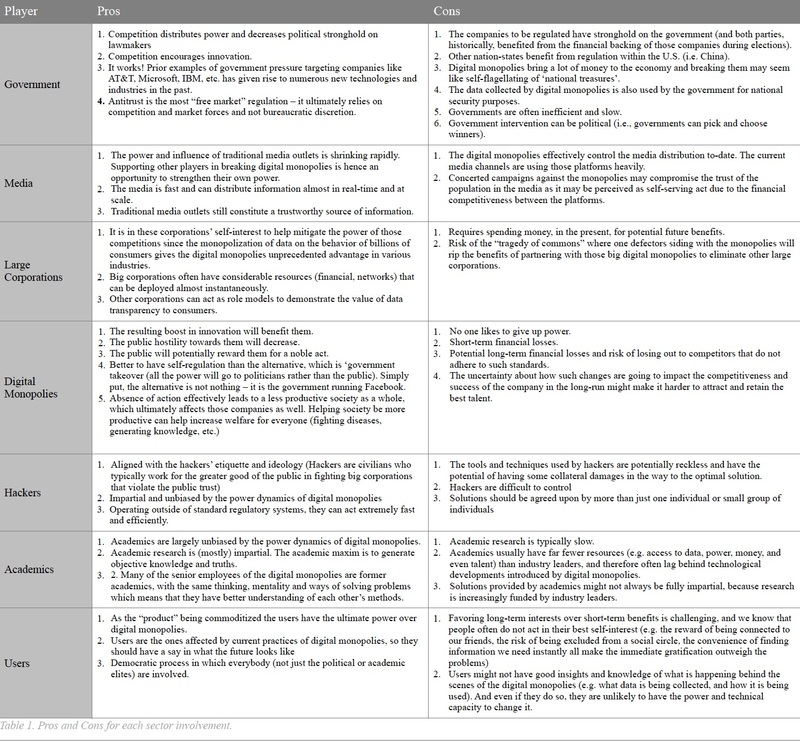 (2014) Automatic Personality Assessment Through Social Media Language. J Pers Soc Psychol 108(6):934–952. 12. Matz S, Kosinski M, Nave G, Stillwell D (2017) Psychological Targeting as an Effective Approach To Digital Mass Persuasion. Proc Natl Acad Sci. 13. Karaiskos D, Tzavellas E, Balta G, Paparrigopoulos T (2010) P02-232-Social network addiction: a new clinical disorder? Eur Psychiatry 25:855. 14. Andreassen CS, Torsheim T, Brunborg GS, Pallesen S (2012) Development of a Facebook addiction scale. Psychol Rep 110(2):501–517. 15. Krugman HE (1972) Why Three Exposures May be Enough. J Advert Res 12:11–14. 16. Schmidt S, Eisend M (2015) Advertising repetition: A meta-analysis on effective frequency in advertising. J Advert 44(4):415–428. 17. Abraham C, Michie S (2008) A taxonomy of behavior change techniques used in interventions. Heal Psychol 27(3):379. 18. Falk EB, Berkman ET, Mann T, Harrison B, Lieberman MD (2010) Predicting persuasion-induced behavior change from the brain. J Neurosci 30(25):8421–8424. 19. Turel O, He Q, Xue G, Xiao L, Bechara A (2014) Examination of neural systems sub-serving Facebook “addiction.” Psychol Rep 115(3):675–695. 20. Lin F, et al. (2012) Abnormal white matter integrity in adolescents with internet addiction disorder: a tract-based spatial statistics study. PLoS One 7(1):e30253. 21. Jelenchick LA, Eickhoff JC, Moreno MA (2013) “Facebook depression?” Social networking site use and depression in older adolescents. J Adolesc Heal 52(1):128–130. 22. Sunstein CR (2018) # Republic: Divided democracy in the age of social media (Princeton University Press). 23. New York Times (2018) How Trump Consultants Exploited the Facebook Data of Millions. Available at: https://www.nytimes.com/2018/03/17/us/politics/cambridge-analytica-trump-campaign.html. 24. Epstein M (2017) The Google-Facebook Duopoly Threatens Diversity of Thought. Wall Str J. Available at: https://www.wsj.com/articles/the-google-facebook-duopoly-threatens-diversity-of-thought-1513642519. 25. Watzinger M, Fackler T, Nagler M, Schnitzer M (2018) How Antitrust Enforcement Can Spur Innovation: Bell Labs and the 1956 Consent Decree. Acad Manag Proc. 26. National Research Council (2001) Capitalizing on new needs and new opportunities: Government-industry partnerships in biotechnology and information technologies (National Academies Press). 27. Grindley PC, Teece DJ (1997) Managing intellectual capital: licensing and cross-licensing in semiconductors and electronics. Calif Manage Rev 39(2):8–41. 28. Debatin B, Lovejoy JP, Horn A, Hughes BN (2009) Facebook and online privacy: Attitudes, behaviors, and unintended consequences. J Comput Commun 15(1):83–108. 29. Balakrishnan A (2018) Facebook should be regulated like a cigarette company, says Salesforce CEO. Available at: https://www.cnbc.com/2018/01/23/salesforce-ceo-marc-benioff-says-regulate-facebook-like-tobacco.html. 30. Timmons H (2018) At Davos, George Soros tears into Facebook and Google. Available at: https://qz.com/1189960/george-soros-goes-after-facebook-fb-and-google-goog-at-davos/. 31. Tucker CE (2014) Social networks, personalized advertising, and privacy controls. J Mark Res 51(5):546–562. 32. Dutta S, Geiger T, Lanvin B (2015) The global information technology report 2015. World Economic Forum, pp P80-85. 33. Unwin PTH (2009) ICT4D: Information and communication technology for development (Cambridge University Press). 34. Heeks R (2008) ICT4D 2.0: The next phase of applying ICT for international development. Computer (Long Beach Calif) 41(6). eDistortions: How Data-opolies Are Dissipating the Internet’s Potential “In 10 Years, the Surveillance Business Model Will Have Been Made Illegal” Would Sen. Warner’s Ambitious Plan to Regulate Social Media Giants “Ruin” the Internet—Or Save it? « What Makes Tech Platforms So Powerful?